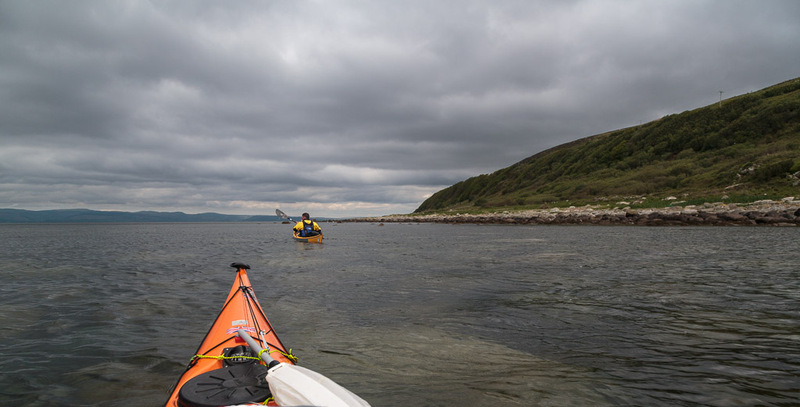 Sea kayaking with seakayakphoto.com: Spinning a story of Corriecravie, Arran, the land of my ancestors. Spinning a story of Corriecravie, Arran, the land of my ancestors. 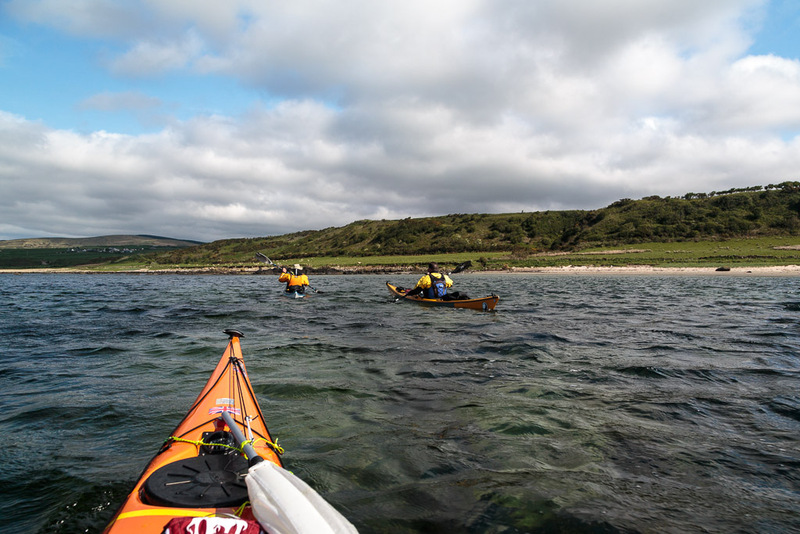 ... the shore near Sliddery Waterfoot. 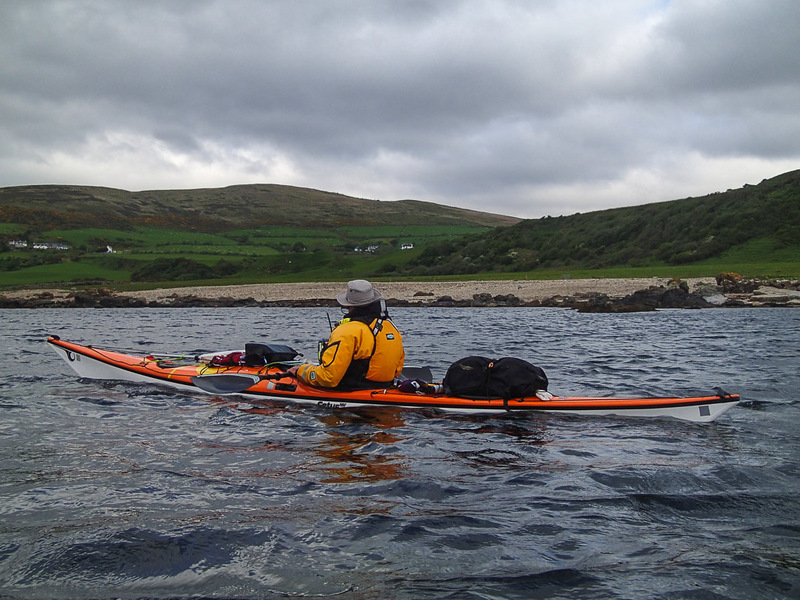 It was a relief to take a breather near Corriecravie. Ian took this photo of me looking at the land which my ancestors once farmed. Since at least 1710, when my great great great great great great grandfather Robert Black was born, the Black branch of the family were crofters in Corriecravie until 1936. The last known Black to be resident in Rowanpark croft, Corriecravie was my great grandfather's (John Black 1854-1929) nephew Robert (Bertie) Black but he was not contactable there in 1972 following my grandfather's sister's (Catherine Black) death. Initially the family worked common land but when the Duke of Hamilton enclosed the land in the early years of the 19th century, Robert's son William became tenant farmer of approximately 24 acres. The croft extended to the boundaries of the green fields above the white houses in this photo. 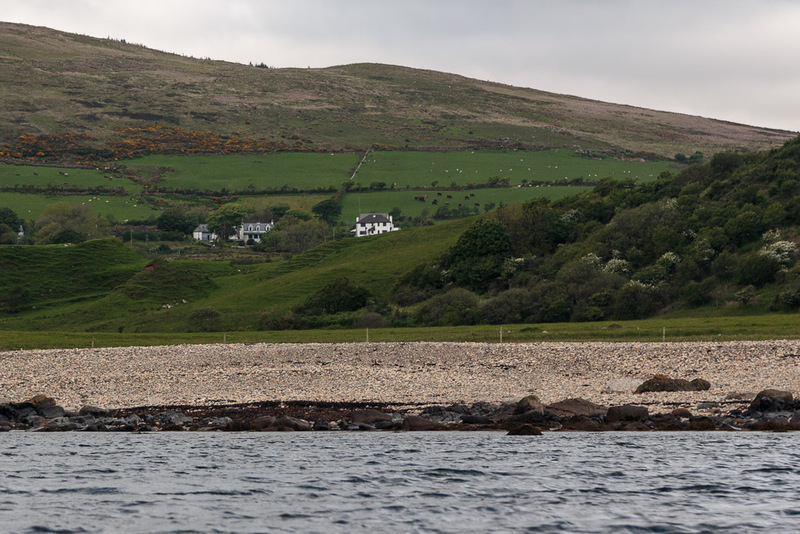 In 1813 a wave of religious awakening passed over the people of south Arran and William's son Robert was one of those who came under its influence. After William's death in 1824, Robert neglected his farm and attended too many religious meetings. He was fined one guinea by the Estate Factor for failing to improve the land as required by his tenancy agreement. By the 1841 Census, his two sisters Mary and Isabella had taken over running half the croft but by the 1861 census Mary had died and Isabella had given up her half of the croft, which Robert then sublet to Mr John Stewart. After Robert Black's death in 1862, the croft was taken over by my great great grandfather Finlay Black, (1820 to 1876). 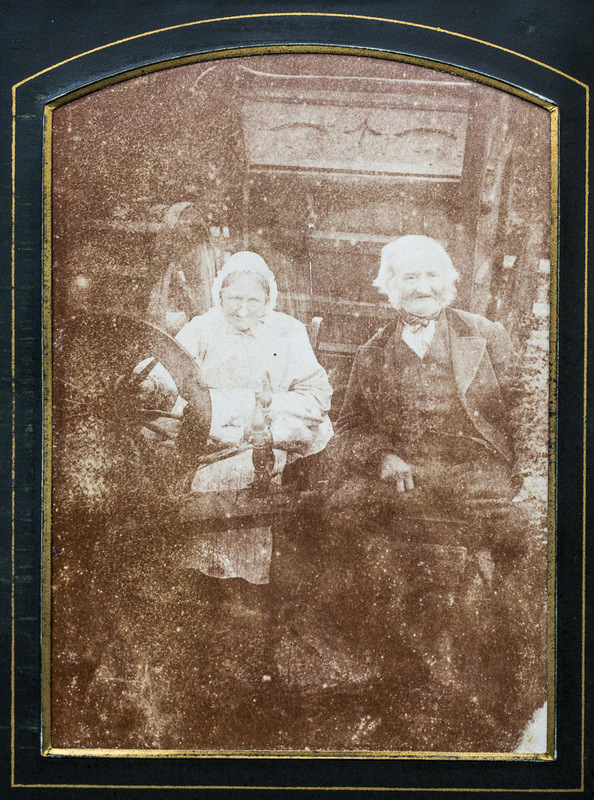 This photo, taken shortly before his death, shows him with his wife Catherine (nee Stewart, 1831 to 1903) in their croft house at Rowanpark, Corricravie. Catherine was the daughter of the Black's sub tenant William Stewart. They married in 1853 and had six children. The croft had a thatched roof and a stone floor. The spinning wheel in the photo has been passed through several generations of female members of the family and is now in possession of my cousin. It is mentioned specifically in the wills of my great grandmother and great aunt. 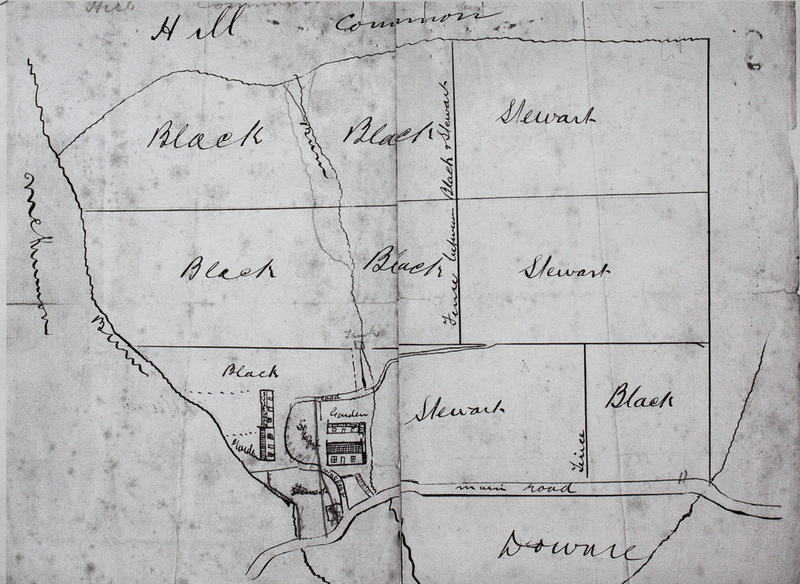 In 1868, some years after Finlay Black inherited the croft, he and his father in law, William Stewart, decided to formally split the croft into two parts. This was done by arrangement with James Paterson, the Duke of Hamilton's Factor and Dugald Crawford the Ground Officer. Interestingly, both my ancestors, Finlay Black and William Stewart (my brother's middle name is Stewart) can be found in a Google search! 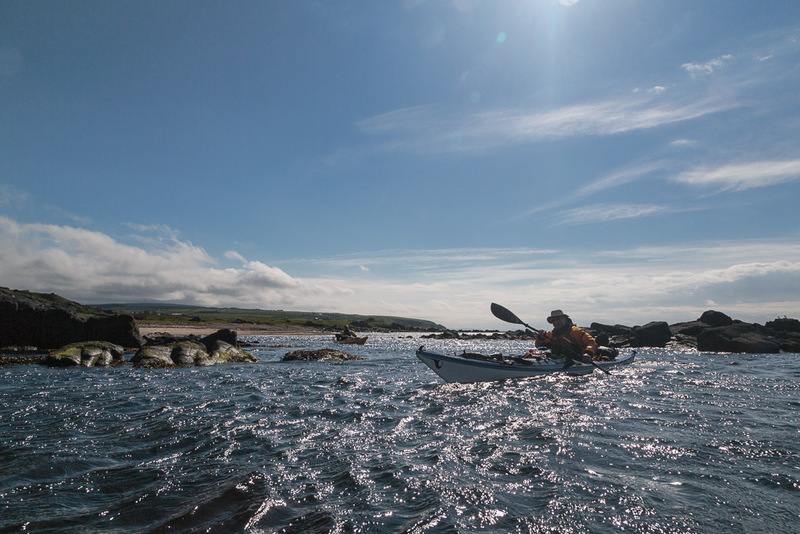 They were both fluent speakers of Arran Gaelic and were consulted by the Ordnance Survey on local place names. 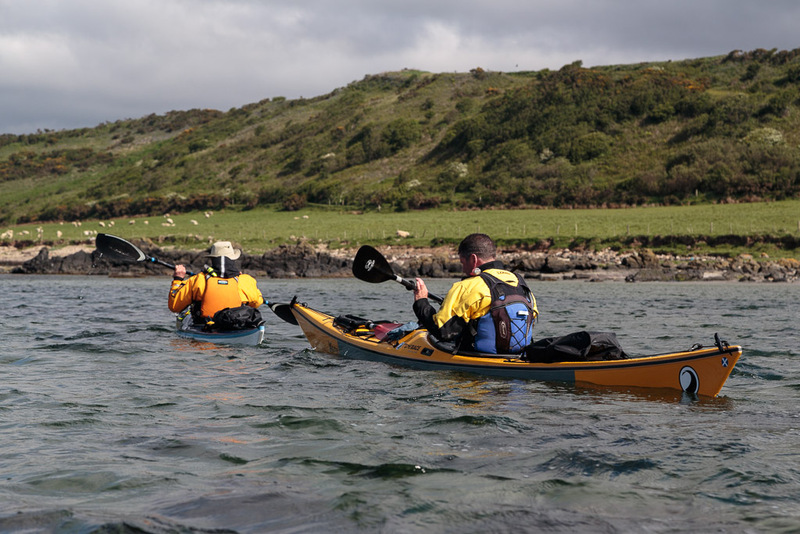 As we paddled on up the Kilbrannan Sound from Corriecravie I had much to ponder upon. It must have been a hard working life in Corriecravie and I was glad to be visiting in leisure time. I look forward to showing my grandson this place as he is 10 generations away from the Robert Black who was born in 1710. It is nice to put family history in context with places. Thank you for some interesting info on my own family history as I am descended from the Stewarts of Corriecravie.